"A brilliant, original, practical, profound, human, energetic book written by two remarkable women. 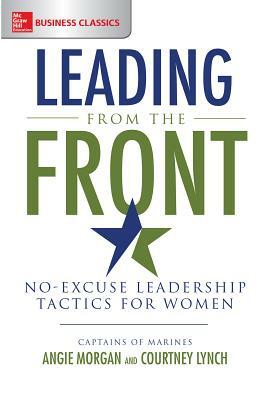 It's one of the best books on leadership published in the last several years." Now more than ever, women are stepping up, leaning in, and taking charge in leadership positions of every stripe. Channel your strengths, maximize your resources, and motivate your team to achieve any goal you set by Leading from the Front. Courtney Lynch and Angie Morgan cofounded Lead Star, a leadership development firm that works with Fortune 500 companies, small- and mid-sized businesses, nonprofits, government agencies, and academic institutions. They advise executives on strategy, organizational development, and talent management initiatives. They are both directors of the Center for Creative Leadership's Partner Network, a premier organization for thought leading consultants, executive coaches, and trainers.